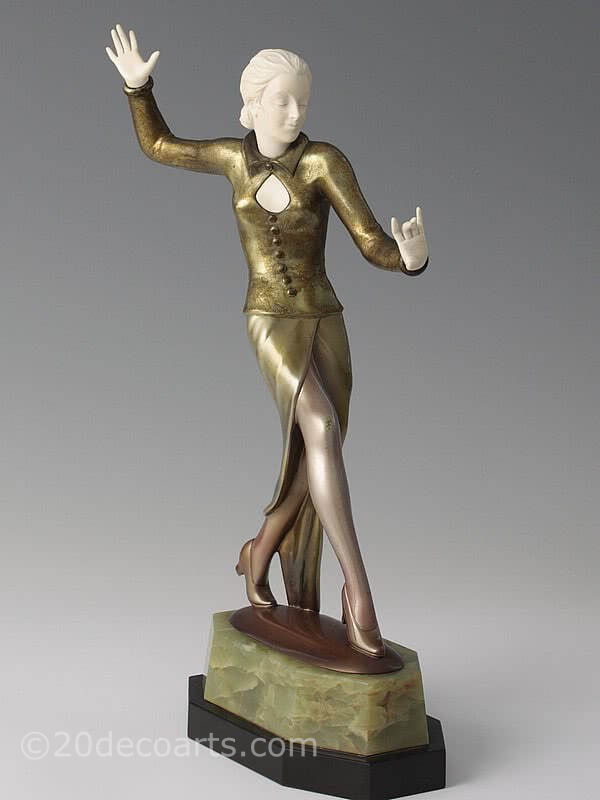 Josef Lorenzl - Art Deco Austrian bronze and ivory figure circa 1930 depicting a stylish lady in evening dress with a lacquered cold-painted finish, mounted on a shaped green onyx and black marble base. 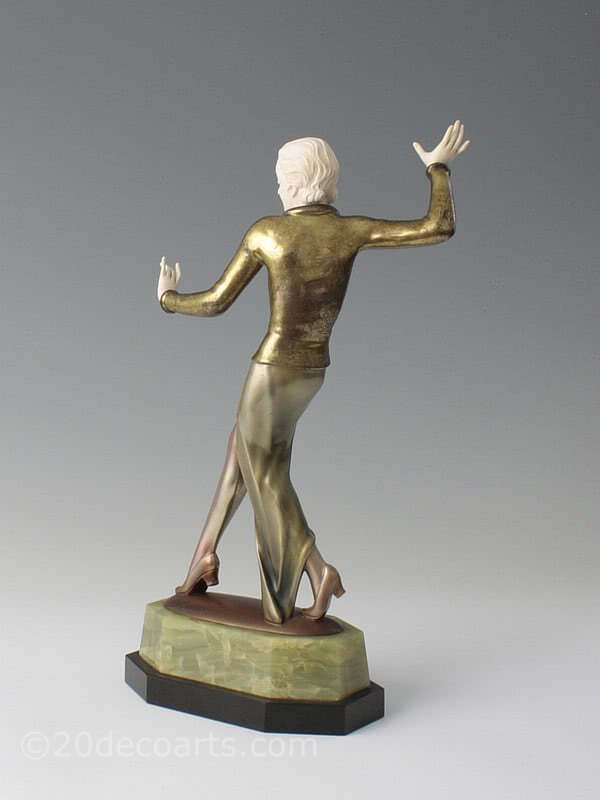 This is a large and stunning Lorenzl bronze figure with excellent carving and chasing to the bronze. 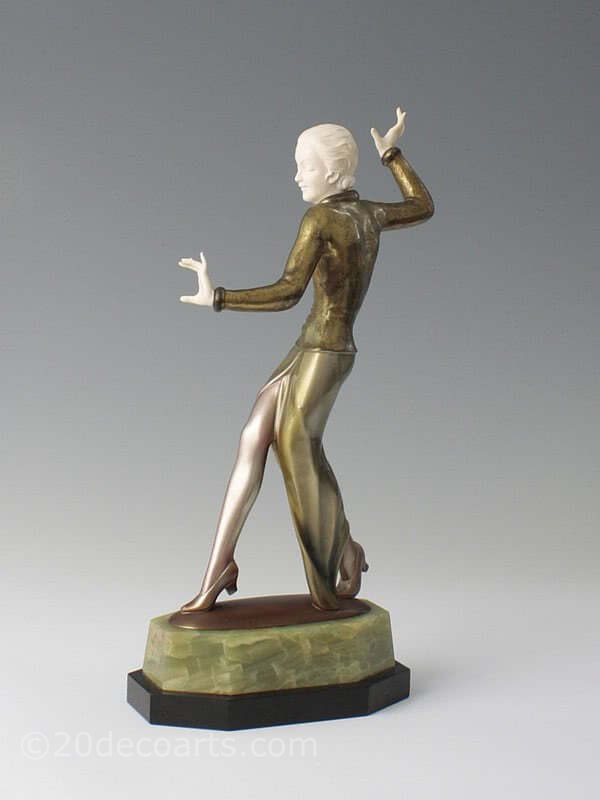 Photographs really cannot do this beautiful figure justice.